Though we do not have fall and winter in the Philippines, most of us still make an effort to learn about these makeup trends. It is the perfect transition into the ber months, as it immediately updates our look and gives us fresh options on what makeup to wear. And really, we can’t wear summer trends the whole year round—how boring! No matter how classic our look is, sometimes we really ought to step out of our comfort zone and try something new and quirky. 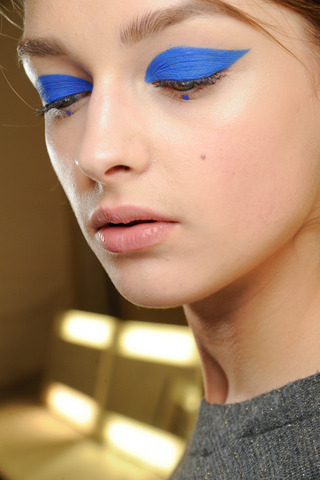 Of course, a certain level of confidence is required to owning the look, so make sure you actually like your makeup. 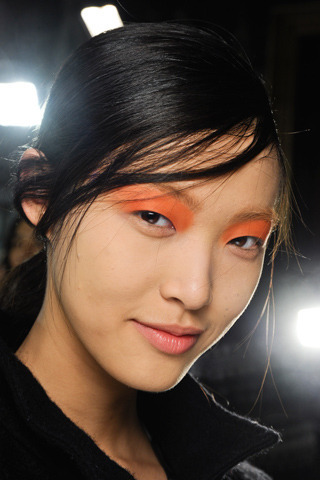 But surely, you’ll love these—we’re going to be seeing color, and plenty of it. 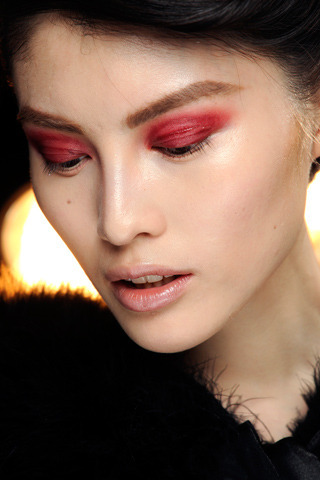 Yes, color is back for the holiday season and these are in virtually every eyeshadow shade you can imagine. I am in love with these yummy colors and tones. 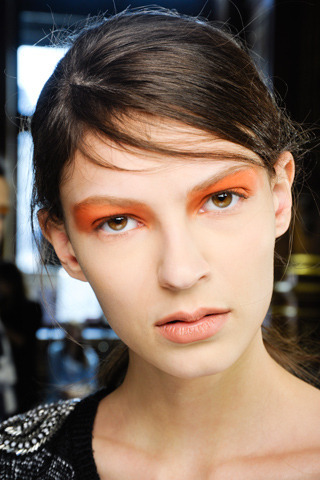 ORANGE – This is such a fall color (think: autumn leaves, pumpkins). 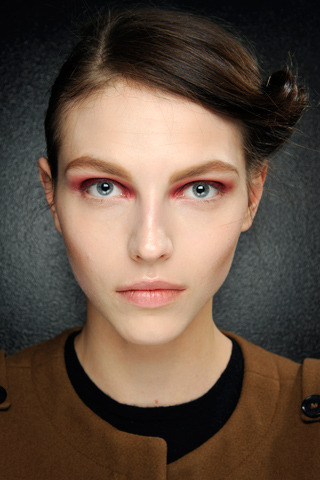 I really want to try applying eye shadow all the way up to the brow. It looks so chic. But I think the rest of the face should be bare for it to work. RED – This seems a little scary to try as it may give your eyes a swollen or bruised effect. 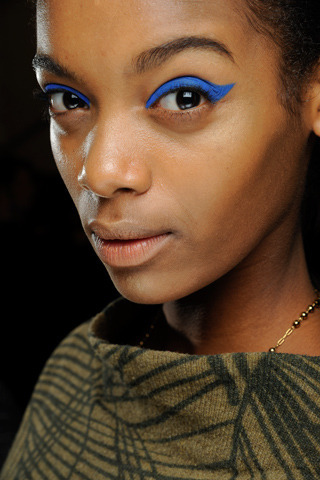 The trick here is to find the right shade to work with your skin tone. 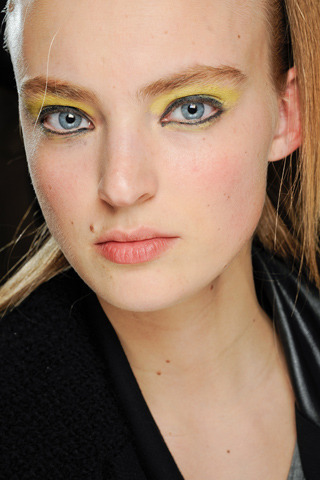 YELLOW – This is another tricky color, but is doable as long as you wear it with black eyeliner. Also, a matte high pigment color should look better than a shimmery one. 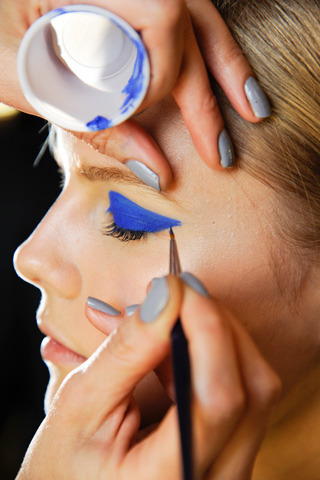 BLUE – This is a lovely shade of blue. 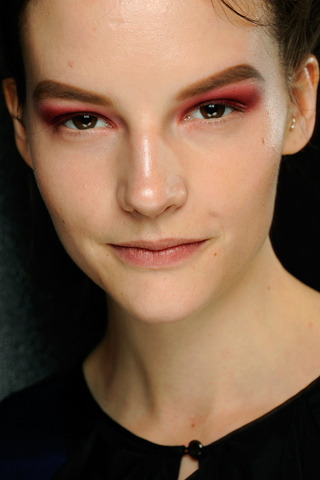 Max Factor makeup artist Bobby Carlos once told me you’ll need to wet your eyeshadow brush first in order to achieve this bold look. It also makes your application more precise. 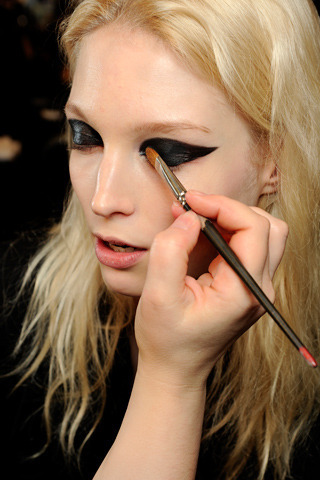 BLACK – Okay, I know black is really not a color, but this looked too good not to add to my list. 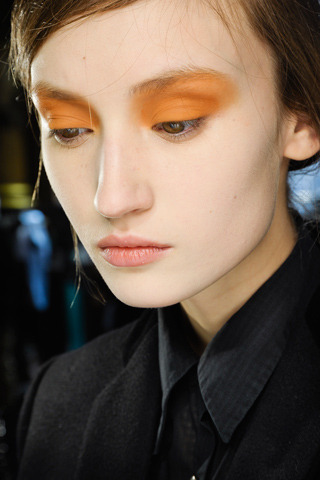 I love a strong graphic eye. This looks really fierce. All photos are from www.style.com.